Two guitars, but some of my favorite tones of all time. Was looking for input on what kind of amp you guys would use if trying to achieve something similar. I was thinking of buying a blackface vibrochamp but what do you guys think? Currently playing with a fender standard strat. I don't hear anything distinctively weird or different, so that fender would probably work fine. There's a bit of distortion, but it's hard to tell if that's the amps or youtube. Pretty sure there's a lot of tape saturation going on in this recording. You can try to get that live on an amp with EQ and settings and pedals and whatnot, but a lot of "magic" is probably happening in recording. Honestly, any amp with a good clean tone would probably get you there. Old Ampegs (Geminis, etc) are super gorgeous, I'm sure a Fender would be work too. Sounds like it could be one of those little silver or black face Fenders but the sound is mostly the effects after the amp like CursedFrogurt pointed out. I don't hear anything distinctively weird or different, so that fender would probably work fine. +1. In fact, their FM 100H one hundred watt solid state head sounds ridiculously good. Has an actual spring reverb tank as well. I have two of those. I'm pretty picky about what I do with guitar sounds, I have a Marshall 2061 "20 Watt Lead/Bass" .. a Marshall JTM45 .. and two Marshall 10 watt practice amps (those little bastards are LOUD!). I use custom made 16 ply birch cabinets, a 2x12 open back with Celestion V30s, and a 2x12 slant front/closed back with Celestion Greenbacks. Both cabs are set up at 16ohms total load. 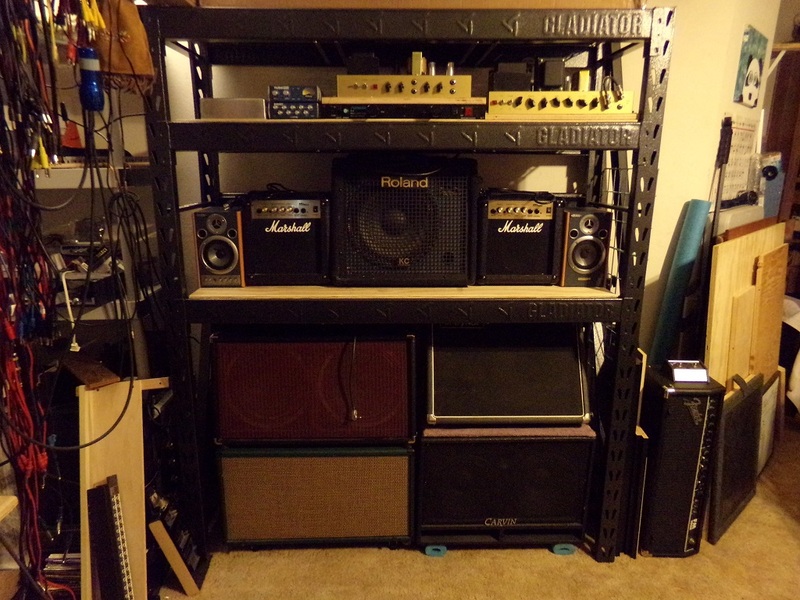 You can see one of the Fender heads standing on it's end on the floor to the right of the "amp rack" in the picture below. I build all my own guitars (14 so far). I build my own compressors and other signal processors. 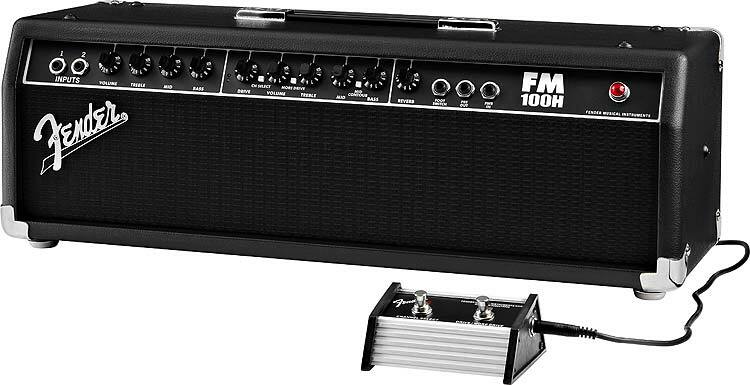 So I could pick any Fender amp, and yet I choose to go with a $150.00 FM100H all solid state head. Actually, the tone in that YT vid sounds more like a Marshall JTM45 with a closed back cabinet. Go silverface. The Champs were the one series were they didn't make any changes between the BF and SF versions. Save yourself some cash and then put it towards a larger speaker. Vibrochamp through a 2x12 - or better yet, a 2x15 - is something magical.